Today, motorbikes are more reliable with some even coming with state of the art electronics. The need for a basic repair kit, however, remains great for anyone who owns and frequently uses a motorbike. It will save you the pain that comes with an unplanned roadside repair. With such a kit, you will rest easy on every ride knowing that should the bike break down, you can fix it and get on your way. As with any other job though, the saying, “proper tools for a proper job” holds. There are some tools that your kit should not lack. Well, that’s at least if you want to have a hassle-free ride more often. The cost outlay needed to assemble such a toolkit is not that steep. Unlike a professional mechanic’s kit that will cost upwards of $5,000, you can buy or put together a basic toolkit with less than $100. Although you do not need a large toolkit for your personal repair works, there are some guidelines to follow to ensure you get the right set of tools. Doing so will ensure you get only the tools you require. The fancier, more complicated and advanced should be left to people better trained on their use. For your repairs, these are the toolkit essentials. 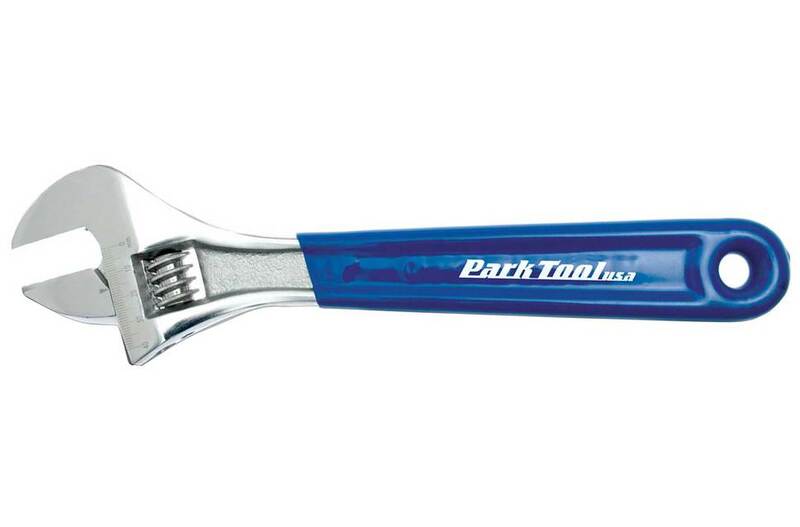 Your toolkit should have a pair of pliers. There are two broad choices here; needle nose or standard. Each has its unique advantages, but either would work just fine as a clamp or holding broken components together as you bond them back together. Although space on your kit is limited, finding room for a pair will be worth it down the road (pun intended). If you can, consider having both the standard pair and the needle nose. Two options are available for you here. You can either go with a complete puncture repair kit or opt for a quicker but messier option: cans of puncture sealant. Most bikers that hit the road often prefer the more organized repair kit. Regardless of what option you choose, however, getting the work done is what is most important. With either option too, you will need to get back some air into the tire/tube after a repair. It’s the only way a puncture repair job will be considered complete and have you ready for the road again. For this, you can use a small pump. Alternatively, CO2 canisters are an option, but they will come at a greater cost as they are disposed of after each use. A knife has multiple uses. A need for it will arise in the middle of a repair more often than you think. It would thus make perfect sense to have one in your repair kit. 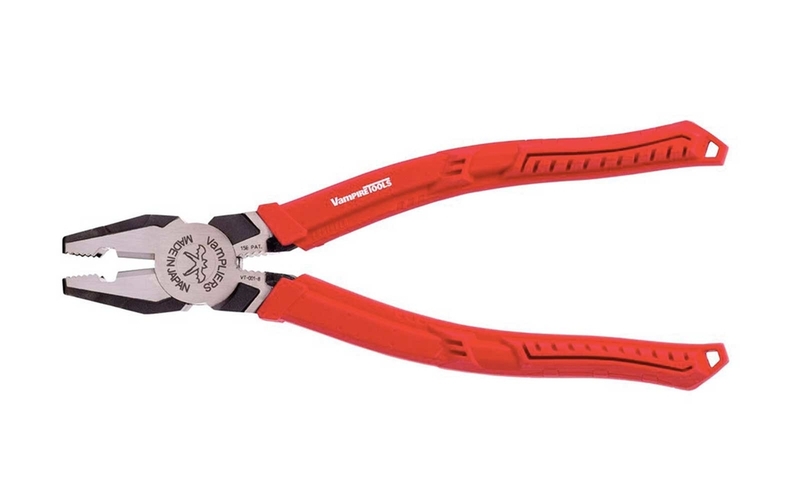 One of the best options available for your bike is a “Leatherman.” It will help save some extra space as it’s a multi-tool that has a great range of functionalities. A good knife might act as a multi-tool here, but it is no substitute for having a set of screwdrivers. Such drivers make easy work dealing with the most fasteners on your bike. There is, also, less risk of damaging bike screws compared to the risk when using a knife. 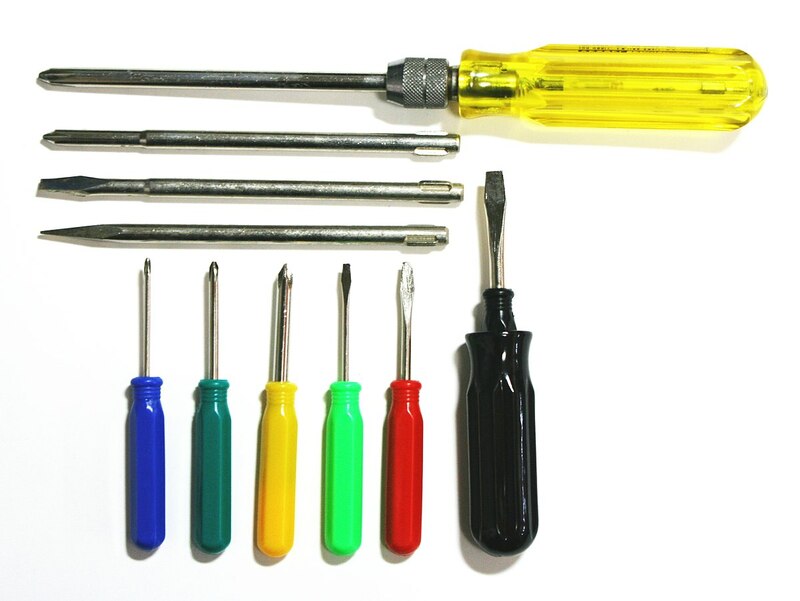 As a set of screwdrivers is probably the essential tool in a toolkit, it will be found in many a laughable ‘kit’ present with many bikes. Be advised to carefully check such screws. Often, they are of ridiculously low quality. If you are using a modern bike, this is a must-have for your bike. Such bikes nowadays use Allen screws as fasteners in place of traditional screws. That all-purpose knife we talked of earlier can, thus, not help you here. Lucky for you, a full set of Allen keys will not take up much space in your kit. Should you need to save even more space for extra tools, you can do so by retaining only the keys you will use on the bike parts you are most likely to remove during a roadside repair. They are only good for one thing, rounding-off nuts. Given the need to save as much space on your bike’s toolkit, it can often come in handy. 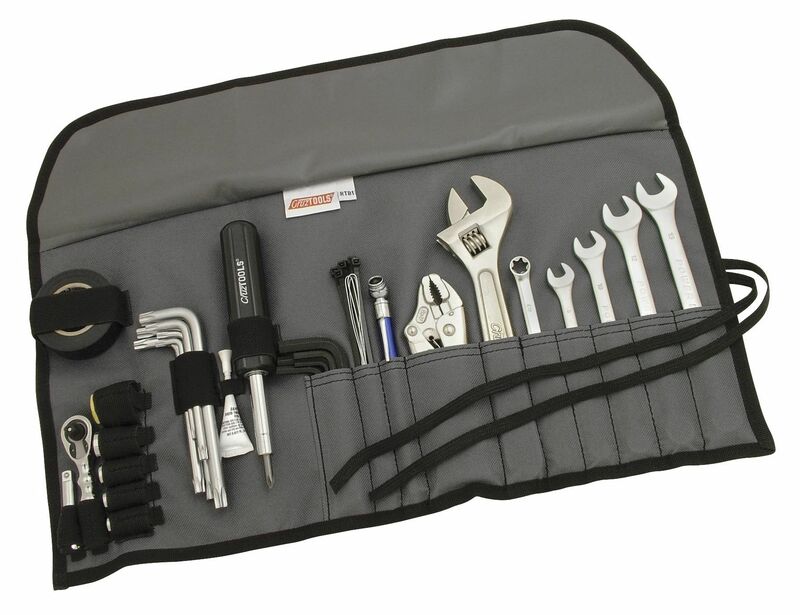 It would be an excellent alternative to having a full spanner set occupying your toolbox. A length of electrical wire can serve you well during roadside repairs for many reasons. It takes up very little space, and it is useful for multiple repair jobs. If there is a break in the bike’s wiring, such a wire will come in handy. Additionally, in case of a blown fuse, you can use a length of wire to temporarily bypass the said fuse – provided you’re sure the fuse did not blow to prevent damage of a more critical bike part. As well, a length of wire can be useful to pinch thing together. With such jobs though, ensure you have means to cut – Hello Knife – the cables involved and tape to seal new connections. Should you have additional space, a few spare fuses and spare bulbs are worth having as well. Speaking of tape, you should absolutely, 100% have some in your kit. Show me a bike repair that’s ever complete without tape being used. As its indispensable, lack of space should not be an excuse to not having it. You actually, don’t need to look for space for the whole roll. Be a bit innovative; find a round or hexagonal prism shape and roll a few feet on the tape onto it. One Allen key would be perfect for this. To fasten the complete kit onto a bike part. Finding pockets of space for different tools on the bike.